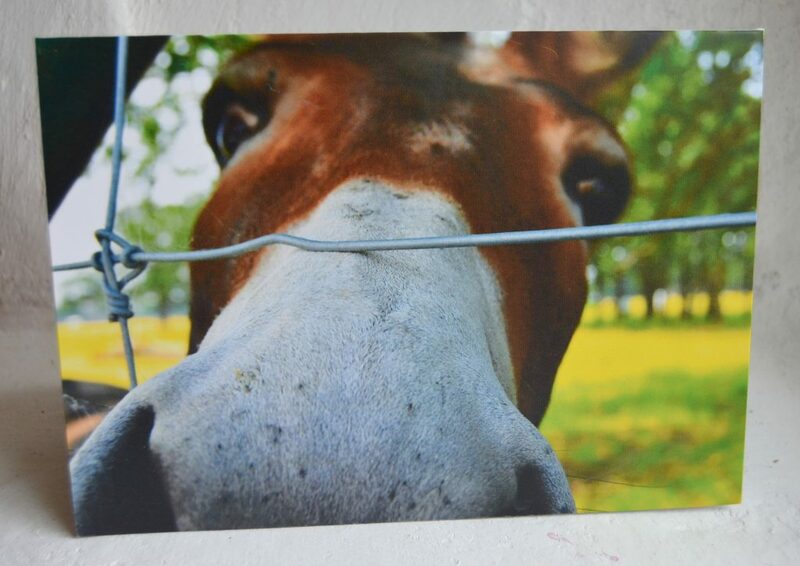 “Close Encounter Donkey” card. 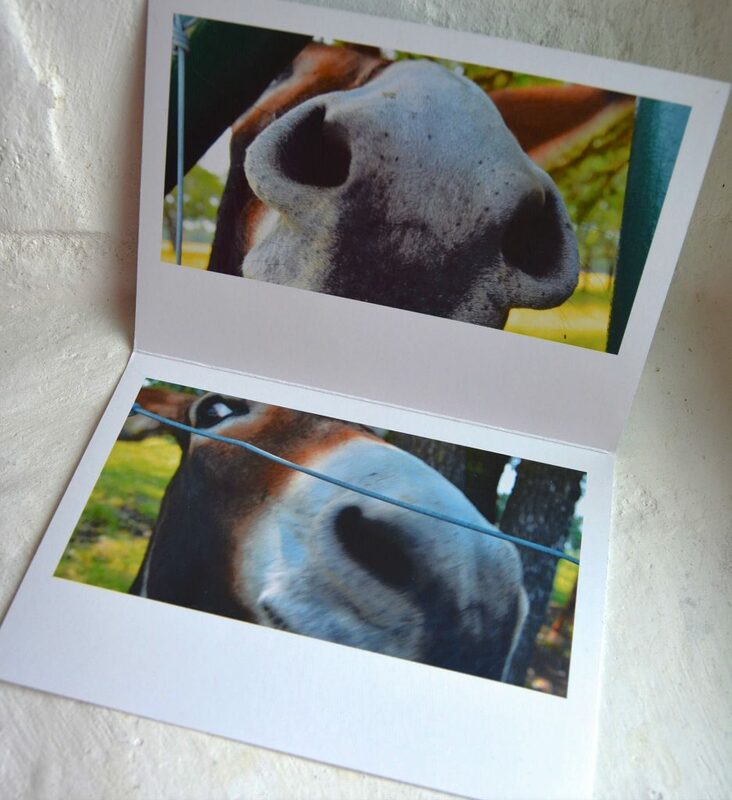 Features 3 pictures of a friendly donkey. 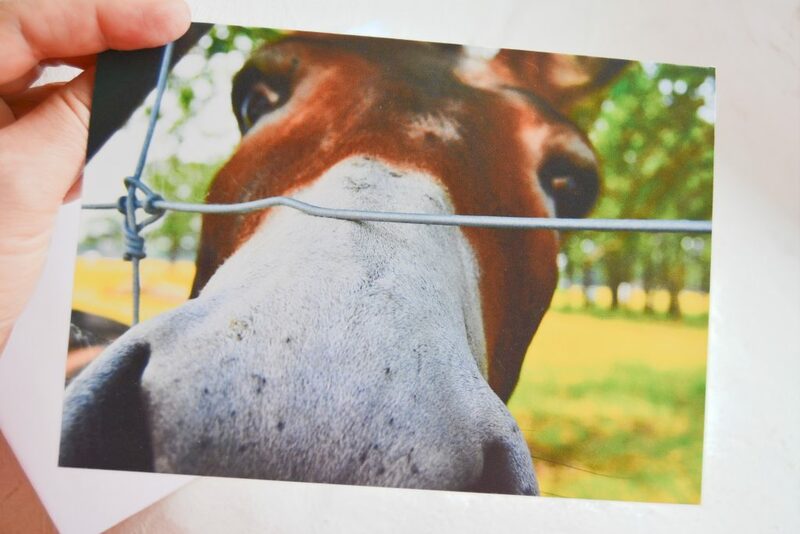 Photography by Sandra Begotka: I encountered this donkey in a pasture alongside one of the gravel roads near my home in Texas. He was very intrigued by the camera. Printed on cardstock. Exterior of the card is semi-gloss. Inside is matte. Back is white with copyright, artist, and image info in small print. Size is 5″x7″. Comes with a white envelope. Surprise! This card has images on the inside too.